This is kind of a vampire story with a pretty cool magic system and a collection of very interesting characters. 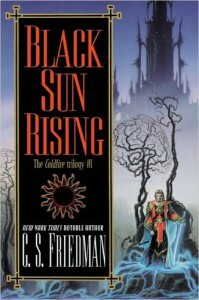 I honestly don't remember the book very well, I read it well over 15 years ago, but I do remember the cover art. I've always really liked it and even have a print of it on my office wall.